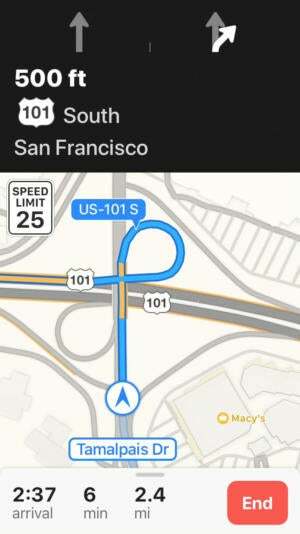 iOS 11 maps now shows lane guidance and speed limits. Maps now covers—in limited areas, to start—the inside of shopping malls and airports, so that the Maps app can provide better guidance indoors. I didn’t get a chance to test this at an airport, but I was happy that the stores at my local mall are now correctly located. Once smartphone maps have trained us to navigate the roads of the world, the next logical step is to help us navigate the shopping malls and airports, right? 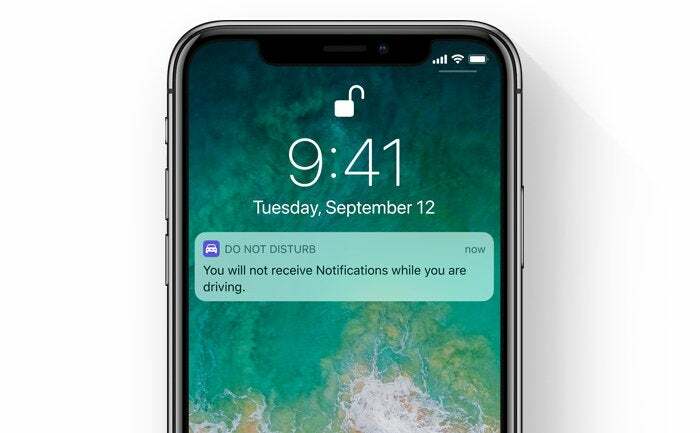 There’s one huge, driving-related feature in iOS 11 that’s not quite map related: it’s Do Not Disturb While Driving, which can automatically detect when you’re driving and suppress most distracting calls and notifications. 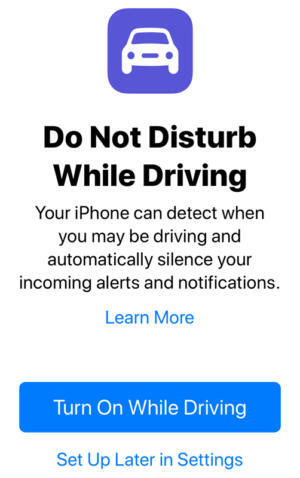 Your iPhone can detect your motion and figure out that you’re in a car, and lock you out—or you can specify that you only want the feature to enable when your device connects to your car’s Bluetooth system. Do Not Disturb When Driving will let you turn it off if you ask. If you’re a passenger in the car, you can disable Do Not Disturb When Driving with one tap. If you’re a CarPlay user, this feature is disabled since CarPlay should be taking care of your car-appropriate interface needs. While this feature is enabled, the iPhone stops pushing most notifications. Emergency alerts, timers, and alarms can break through. You can optionally allow the phone to reply to incoming text messages with an explanation (and a way to break through if it’s really important). Incoming calls are allowed to come through, but only when the iPhone is connected to a hands-free accessory like a headset or the car’s built-in audio system. Otherwise, the phone behaves like the normal Do Not Disturb—it will allow in the favorites you specify and repeated calls from the same person within three minutes. Finally, in this mode Siri is constrained to voice only—it won’t attempt to show you something on your phone’s screen, which is as it should be. This is a great feature that’s going to prevent accidents due to driver distraction. 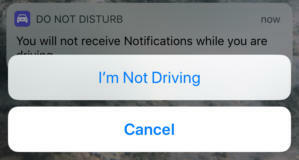 Of course, people who want to be distracted while driving will just leave this feature off, but I suspect a lot of us will just turn on this feature and let the phone decide what’s important enough to bother us while we’re driving. (The short answer is: very little.) Apple’s not mandating your behavior here, but it’s giving you a nudge in the right direction—and adding in a few paths to get around the blocks in case of a real emergency. Well done.